Sub-Saharan Africa is now one of the world's most talked about regions in terms of emerging investment opportunities and sources of new growth. Its economies represent a quintessential frontier market and they are set to develop into an area of long-term investment interest. 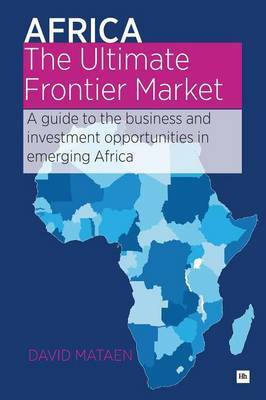 Africa - The Ultimate Frontier Market is an investor's guide to the transformations that have occurred in the African business landscape in the last 50 years and the key areas of interest for the future. This book provides a detailed but lucid look at the changing trends in social life, government and business since the 1960s. It explains the background to consumer market developments and why they have occurred, the enablers that have been laid down within Africa that ready it for business expansion, and the sectors where there is opportunity for investment and growth.The business environment is then broken down into seven key areas on which investors should focus: Agriculture - Real estate - Consumer retail - Financial services - Telecoms - Transport and logistics - Manufacturing and processing Each of these chapters describes the major themes in the area and identifies the specific consumer sectors anticipated to experience the biggest growth in the years to come. By following the long-term developments described by David Mataen, you will understand the pace of change in Africa in the past and gain an appreciation for how its business and economy will progress in the future. At this time of great opportunity, this book is an essential addition to your investment library.